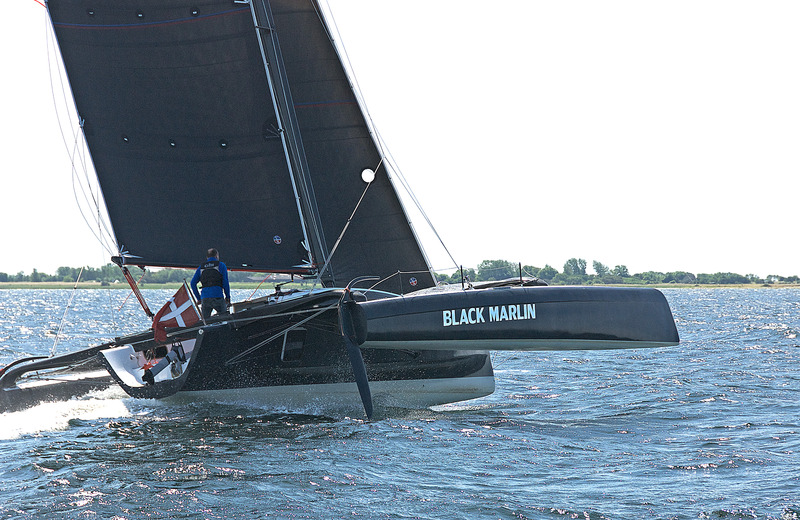 Black marlin is an innovative and modern carbon trimaran, with sailing performance are far above normal, black marlin has the comfort of a modern family, there is a standing headroom of 1.95 in the salon, there is room for 8 at the table, Black marlin is very simple to operate and can be sailed singlehanded, it is available with one or two rudders, two rudders allows to manage from the pontoon, it offers excellent visibility and overview. 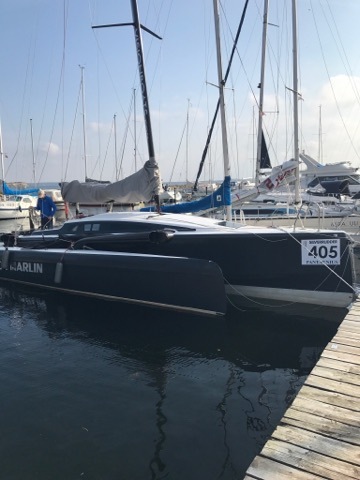 Black marlin is designed with room for a 450 W solar panel on the roof of the deckhouse, which supplies trimaran with power for its electric motor, light and other equipment on board, so it is self-sufficient in energy Last, and perhaps most importantly, is that Black marlin weight of only 1460 kg fully ready to sail, it can be done, because it is built in carbon and epoxy, it has some clear advantages. 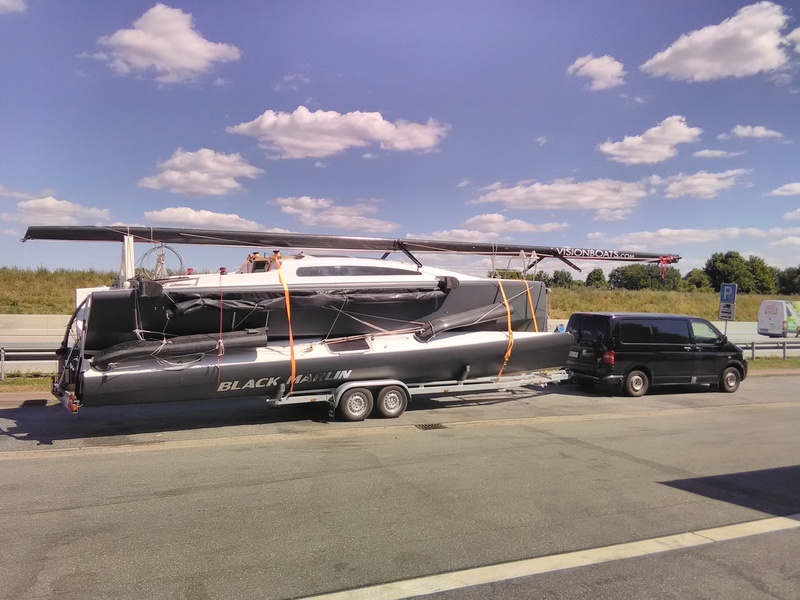 · The low weight means it can be on a 2,1 ton trailer. · Low weight also means that the load on the sails and sheets is smaller, making it easier to sail for a small crew. 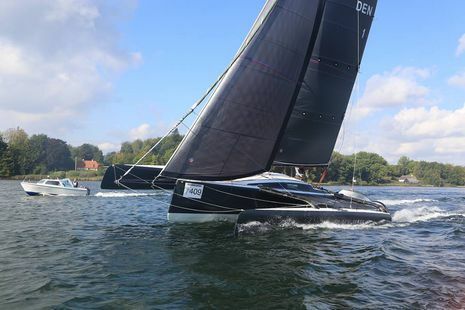 · That it has a speed and power not found in other trimarans accommodate the market. · Carbon fiber-reinforced bottom, so you can get into shallow water. 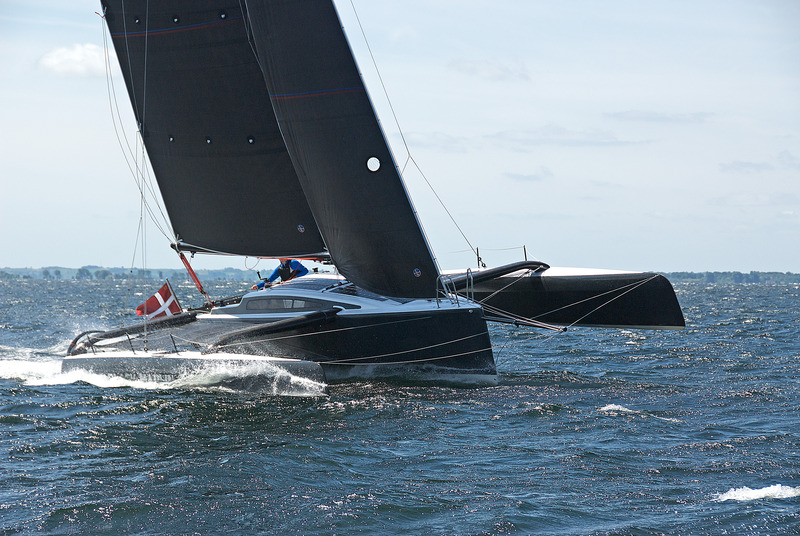 · The mast can be made two-piece, so can be sent anywhere in the world in a 40 'High Cube Container. · Swing Wing system so the Beam may reach 3.55 m.
· Can be built in wood or carbon fiber. 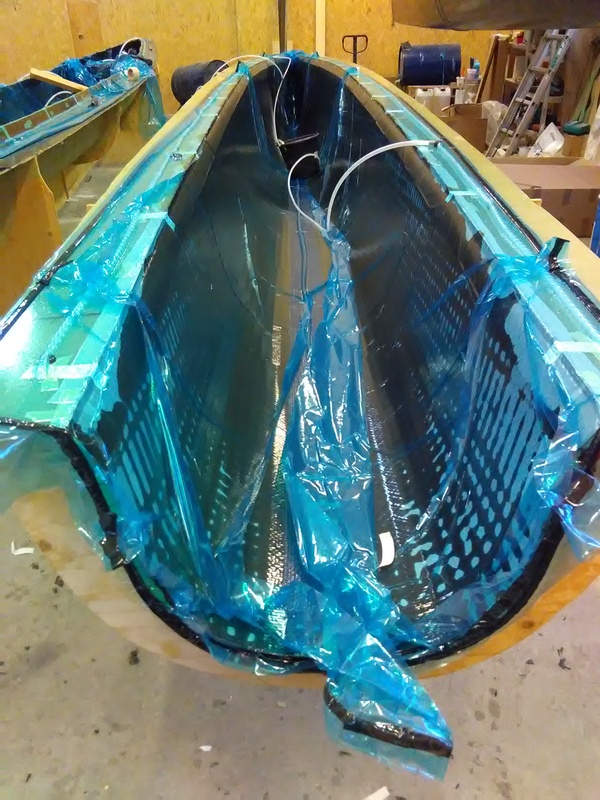 · Everything must be cast in epoxy and vacuum infusion, to keep the weight down and the strength up. 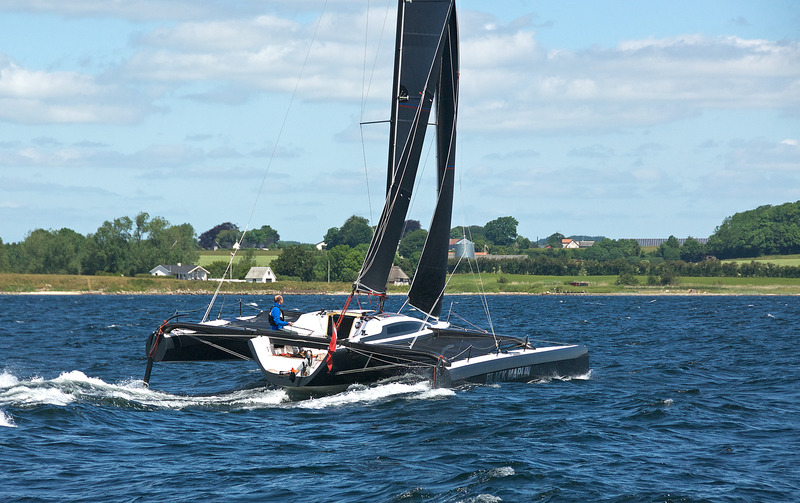 or a faster version with two rudders and a big rig for the experienced multihullsailor. 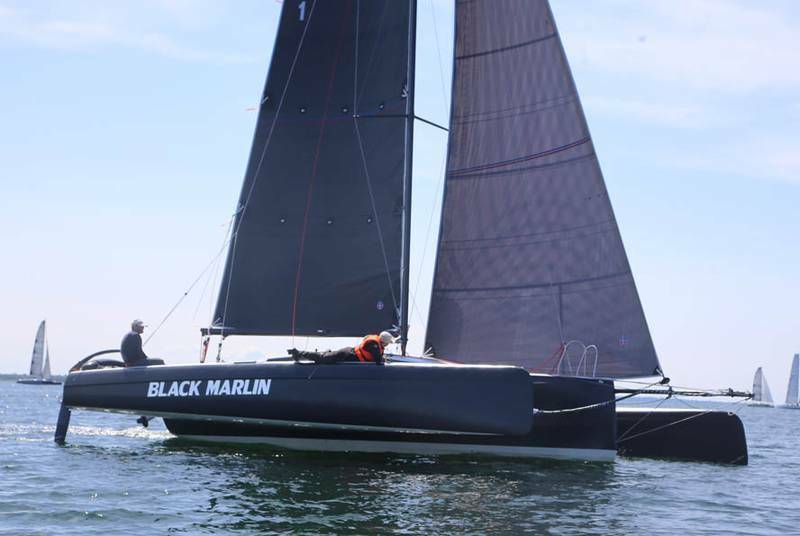 Black marlin is designed to be my own trimaran, there should be a fast and fun boat, but also comfortable and cozy, to be on board, it is designed for sailing with friends and family, and it must of course be fast to local regattas. 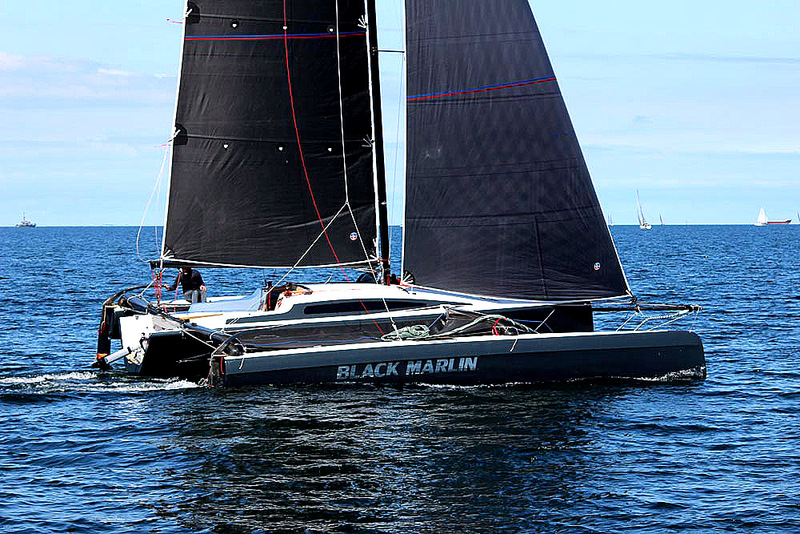 Black marlin has been shown to cover all your needs, the latest trip to the Sognefjordon the west coast of Norway, where she also was allowed to sail on the open sea.